Researching stocks starts with a company's financial statements. Researching a stock takes time, but it is time well spent. A few hours researching a company's operating history and industry environment could avoid significant future losses. Profitability, liquidity and valuation are some of the key indicators for researching stocks. Profitability and liquidity signal financial strength or weakness, while valuation indicates good buying and selling opportunities. A company's gross, operating and net profits indicate how efficiently it converts revenues to the bottom line. 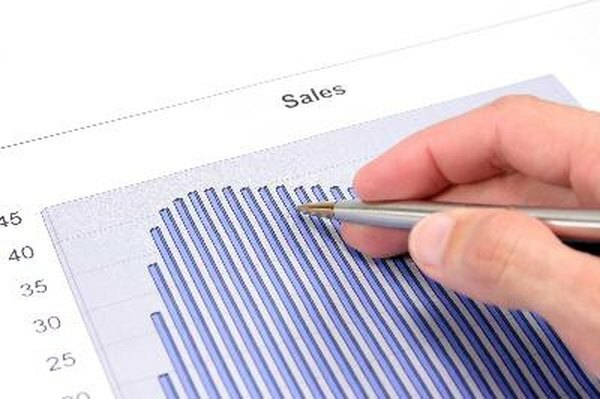 Gross profit is the difference between sales and cost of goods sold. Operating profit is the difference between gross profit and operating expenses, such as administration and marketing. Net profit is the difference between operating margin and non-operating expenses, such as interest and taxes. Successful companies maintain profit margins through good and bad economic times. For example, if a company has increased its advertising expenditures to launch new products or expand into new markets, its sales should increase proportionately. If not, profitability and cash flow will suffer. When researching stocks, look for companies that manage to grow their margins each year. Liquidity means having sufficient cash on hand for operations and strategic initiative. A company's statement of cash flows shows the cash inflows and outflows for each reporting period. Companies that drive revenue growth while managing costs generate steady cash flows. This is an important performance metric when researching stocks because liquidity gives management the flexibility to invest in research and development, expand into new markets or plan takeovers. Another important liquidity indicator is the ratio of current assets, such as cash and accounts receivable, to current liabilities, such as accounts payable and short-term loans. A current ratio greater than 1 usually means that a company has sufficient liquid assets to pay its bills. Price-to-earnings and price-to-sales are two key valuation measures. Price-to-earnings is the ratio of a stock's market price divided by the trailing 12-month earnings per share. Price-to-sales is the ratio of the market price divided by the trailing 12-month sales per share. The ratios are meaningful when compared to other ratios, such as the historical ratios of the industry peer group or the overall market. The general rule of thumb for P/S ratios is that anything below 0.75 is a sign of fair valuation or undervaluation, while anything above 3.0 is overvaluation. Online financial websites, such as the "Industry Summary" page of Yahoo! Finance, provide average P/Es for various industries. Stocks that are trading near their industry average could represent attractive buying opportunities. Conversely, if the ratio is too high compared to the industry average, it might be time to reduce positions. Other performance indicators include innovation and management stability. Successful companies invest in research and development and stay ahead of the competition with cutting-edge products. They refresh their existing products and introduce new products at regular intervals. Management stability means there is limited turnover in the senior executive ranks and there is an orderly transition process for retiring executives. The expertise and independence of board directors are also important success factors.